Getting started with a new Windows Machine may be very hard, due to the new and nerve racking Microsoft's Windows 8. Perhaps this guide founded from a combination of websites will help get you started. You've successfully turned on a new Windows 8 machine. You're staring at the Start screen, in all its flat-tiled glory, and it all seems completely alien based on your previous experience with Windows. As with any new version of an operating system, your first half-hour is critical. You'll want to learn the basics of navigation, how some important built-in applications work, and how to set up basic functions, including networking, backup, and user accounts. The key tip Microsoft showed us all, in case you missed it in the start up process, is simple: Move your mouse to the corners of the screen. As with all things Microsoft, though, it's not as simple as you might think. In different contexts, moving your mouse to a corner means different things. The Charms bar is simply a set of five icons on the right side that represent key system functions, and the bar is available wherever you are in Windows—even when you're in the traditional desktop. At first, you'll primarily care about two of the icons you see: the center, window like one, which returns you to the Start screen; and the Settings icon, which is the bottom one. The Settings icon is key, because that's where the shutdown/restart button now lives. Before you even turn on your Windows 8 laptop, you’ll want to sign up for a Microsoft account. 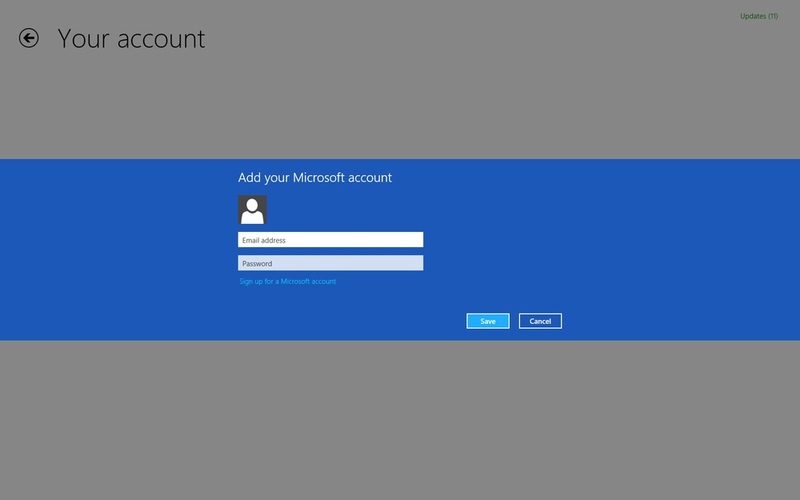 You’ll use your Microsoft account to sign into Windows 8, which will connect you automatically to the cloud and let you see your friends’ contact info and status updates; allow you to access files on SkyDrive, Facebook and Flickr; and sync your settings (including desktop themes, language preferences, browser favorites and history, and Microsoft apps and services) across every machine that’s running Windows 8. To ensure that you have the latest updates for Windows 8, open the Charms menu by swiping in from the right side of the screen, tap on the Settings icon, then tap Change PC Settings at the bottom to bring up the PC settings menu. On the left side of the screen, scroll down to select Windows Update, then select “Check for updates now” on the right side of the screen.